ElectricalTT What’s the difference between PIR and photocell controls for outside lights? As your Local Electrician I like to bring to your attention what is best for your Home. Buying lights for the outside of your house can be a bit of a pain. You may have seen the word PIR on the box of one type of light and photocell on the box of another and this can get a bit confusing. Do you know the difference between the two? If not don’t worry, we’re here to help. Put simply outside lights with PIR, which stands for passive infra red, pick you up as you walk by, while photocell lights provide dawn to dusk light. 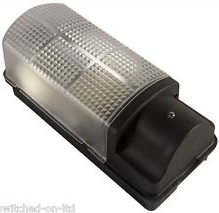 Electrical Wholesalers / Suppliers advise one of the their biggest sellers in the Spelthorne and Hounslow areas is Security Lighting which is combination of PIR and photocell. Both PIR and photocell lights are operated by sensors. In the case of PIR lights this sensor is triggered when it detects movement in front of it. This could be from anything, it could be from somebody walking past or it could even be from something like a cat walking past, usually adjustable, this will depend on how you have the sensor set. You won’t need to worry about your lights constantly going on and off though as the range of the sensor on these lights is usually only around 8pm, so any movement will need to be in pretty close proximity. Photocell lights on the other hand are operated by a sensor that is triggered by a lack of light. This means as soon as dark falls, your outside light will be activated. The light will then stay lit until the sensor again detects outside light, i.e. when the sun rises and morning comes. So which type of light is best? Well that really comes down to personal preference and why you are installing the light. If you’re looking for a light that will deter intruders and that will constantly illuminate outside areas of your home, a photocell light is probably best. 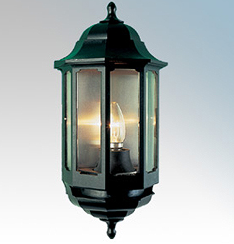 But if you only want a light that is going to come on intermittently, a PIR light will be best. There are of course positives and negatives for both. One such negative with PIR lights can be the fact they can be triggered in daylight, there is however a solution to this in another confusing type of light, PIR with photocell! Put simply PIR with photocell lights give you all the benefits of a PIR light but can only be triggered at night. Many House owners in the TW postcode area are very Green fingered and Garden proud. 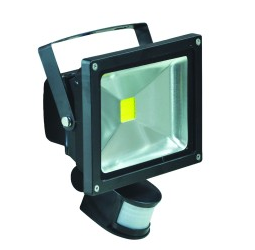 Illuminating your Garden in the evening gives you great satisfaction and pleasure. Many customers are concerned the automatic switching of the lighting is annoying whilst you are sitting down relaxing. This is not necessary, choosing the right Light and Switches means you will not suffer in darkness. If you have any queries our concerns please do not hesitate to contact Richard your local Electrician.